The new look of agriculture and green energy production. 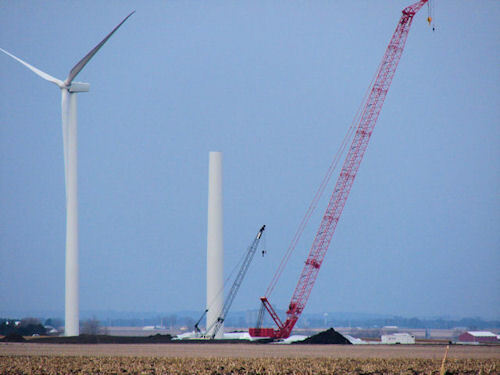 Numerous turbines that are part of the Rail Splitter Wind Farm have gone up in Tazewell County. Groundwork for the portion of the farm that will be in northern Logan County began this week. When looking from a distance on a gray day, the slim columns with no blades actually blend into the monochromatic countryside, and it is a startling sight when the mind realizes that the eye is seeing them.